The Caribbean is fast approaching tourism season. But this year, some of the islands may not see their vital economic lifeblood. Several islands are still recovering from the one-two punch delivered by hurricanes Irma and Maria, which razed buildings, knocked out communications and killed dozens of people. It's still too early to know the full extent of the damage, said Justin Ram, the director of economics for the Caribbean Development Bank. Ram said even a 1% drop in visitors could mean the region loses out on about $138 million those tourists would have otherwise spent. In the long term, that could mean a $214 million hit to the region's GDP. "That's just from a 1% drop," he said. There is some reason to be optimistic, said Hugh Riley, the secretary general of the Caribbean Tourism Organization. About 75% of the region escaped the storms unscathed. The airport on St. Martin, an island pummeled by Irma, reopened Tuesday. Local restaurants on Anguilla are taking business, too. Similarly Jose Izquierdo, the executive director of the Puerto Rico Tourism Company, a public company that markets and regulates tourism on the island, says the territory is already rebuilding. San Juan's airport and cruise ports are operational, and he expects many local hotels to start taking new reservations. Izquierdo said cruise liners like Royal Caribbean and Princess Cruises are scheduling trips out of the harbor. "It's a sign that there's some sense of normality to operations here in Puerto Rico," he added. While tourism operations may be reemerging, residents are still suffering. Riley said some islanders are still without electricity or a viable banking system. Food, water and even shelter can be scarce. "They are still dealing with day-to-day real life survival and nutrition experiences," Riley said. 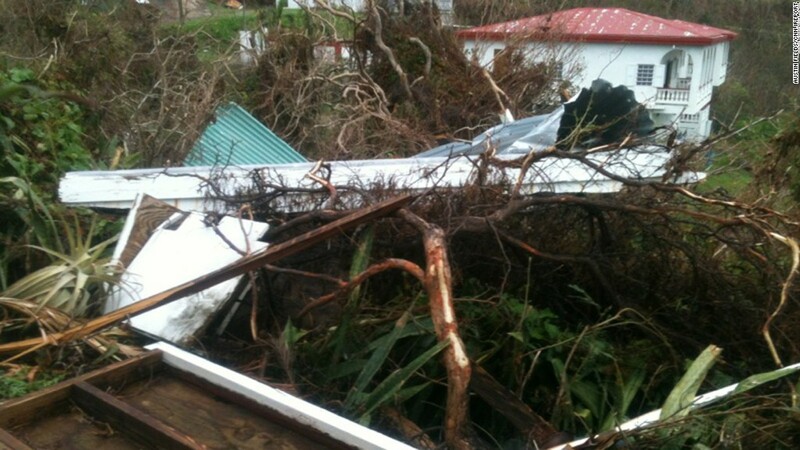 On the island of Dominica, roofs on at least 80% of the island's buildings were torn off by Maria. Heavy rainwater made the asphalt roads crumble. John Collin McIntyre, Dominica's minister for planning, economic development and investment, said he's experienced that devastation firsthand. He's spoken to people on the island who have lost homes or family members and are now trying to recover and rebuild. And he said a crucial part of that process will be figuring out how Dominica can find its economic footing. The damage costs will almost certainly be enormous. A storm that hit the island two years ago, called Erika, caused around $500 million in damage. That was a tropical storm, not a Category 5 hurricane. And it didn't swallow the entire island, as Maria did. McIntyre said Dominica could start welcoming tourists as early as January, three months after tourism season began. After agriculture, tourism is one of the island's most important industries. It contributed about $180 million to Dominica's economy last year, or about 34% of its GDP, according to the World Travel & Tourism Council. That's just a sliver of what's ultimately a huge economic driver for an entire region. The council reported that 23 Caribbean nations and territories raked in $56 billion from travel and tourism last year, or about 15% of the area's total GDP.